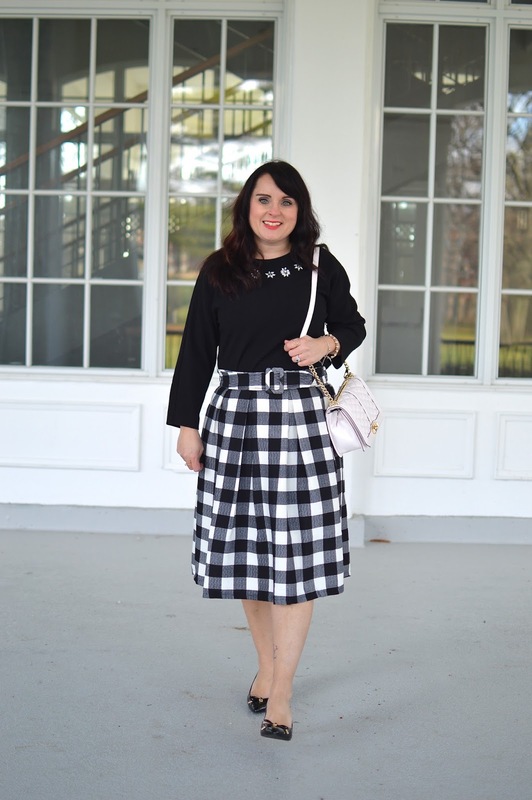 This has been such a busy blog time, and this outfit is perfect for running errands, going to work, or dressing up for an evening out. 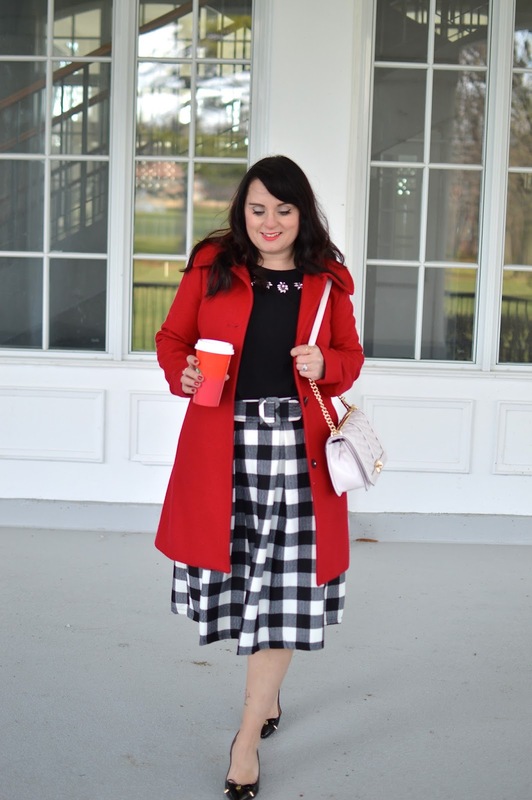 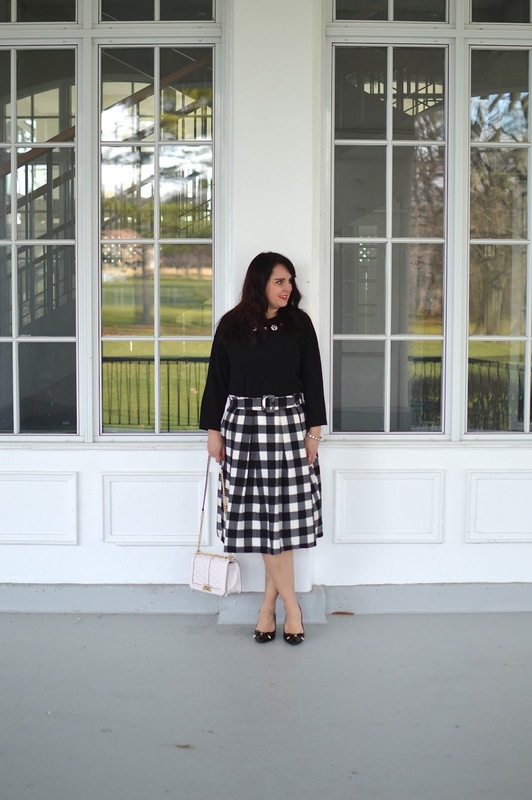 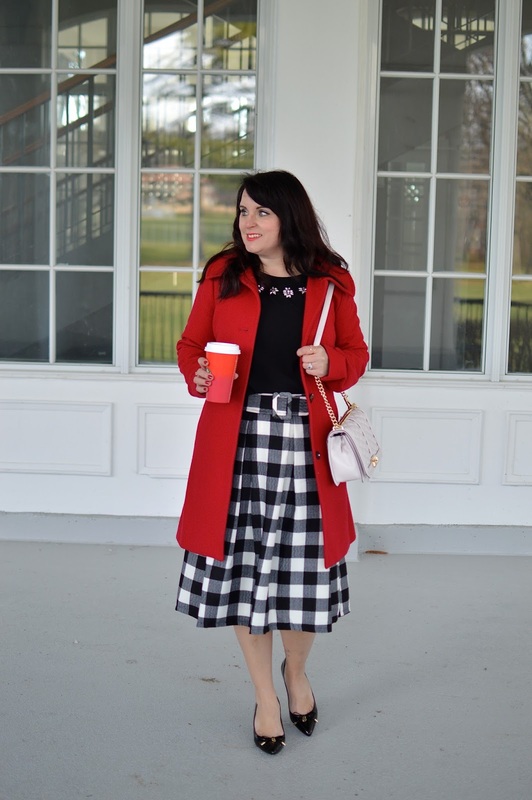 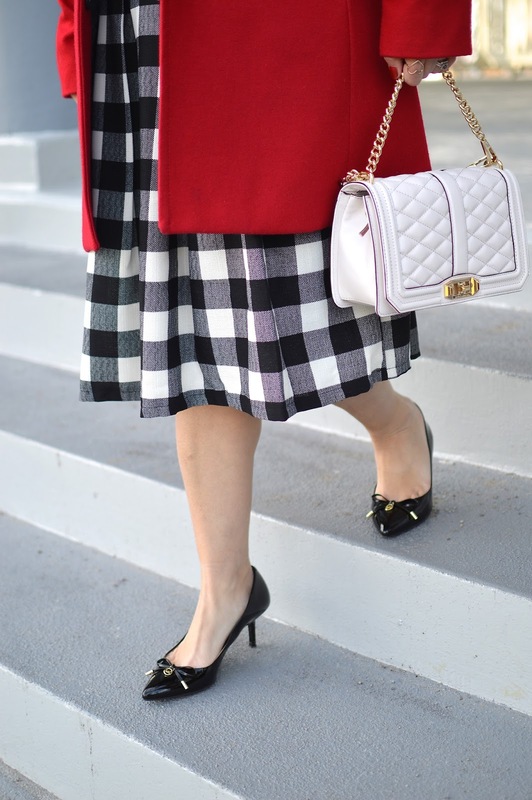 This checkered skirt is one of my absolute favourites and this red coat adds an extra festive touch. 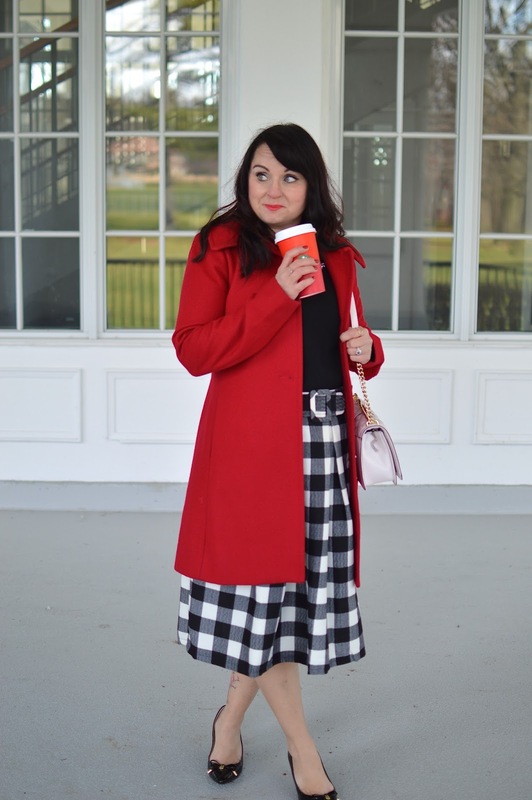 What is your fave holiday look?